Cyber Training and Workforce Development – Chiron Technology Service, Inc.
Exhibit your products and services to the cybersecurity ecosystem. Reach top leaders, experts, and key decision makers in your market. The CyberTexas Conference will bring unmatched content, key thought leaders, and important breakout sessions together to drive the most powerful audience in the industry. Showcase your company to increase brand awareness and to reach influential minds in the industry. CyberTexas will once again unite the cyber ecosystem from San Antonio and across the United States. Guest speakers and industry experts will provide insight on the most compelling questions of the modern “cyber” era. Tracks will cover a multitude of topics including the Insider Threat, Managing Cyber Risk, Finding and Using Threat Intelligence, Workforce Development, Cyber Education and Academic Development, Acquisition and Business Development, and more!CyberTexas was established to provide expanded access to security developments and resources located in Texas; provide an ongoing platform for the education and skill development of cyber professionals & job creation; build strong relationships with other U.S. and International geographies focused on cyber ecosystem development; bring national and international resources to the region to showcase Texas-based cyber assets; identify and encourage business opportunities within and outside of Texas; and create long-term value for the cyber security ecosystem of San Antonio and the State of Texas.This is the 8th Annual CyberTexas Conference. In 2016 the past CyberTexas Conference had over 650 attendees with 38 exhibitors. Building off of the CyberUSA conference on January 30, 2018, the CyberTexas conference will focus on companies and organizations that are looking to improve cyber resilience, collaboration, threat intelligence, information sharing, workforce development, marketplace opportunities, and risk management. If you have questions about the logistics of this event ON THE DAY OF THE EVENT please contact the event manager Theresa Zichelli at (800) 878-2940 ext. 223 or email Theresa@fbcdb.com. Prior to the day of the event please direct any questions to your FBC Account representative. 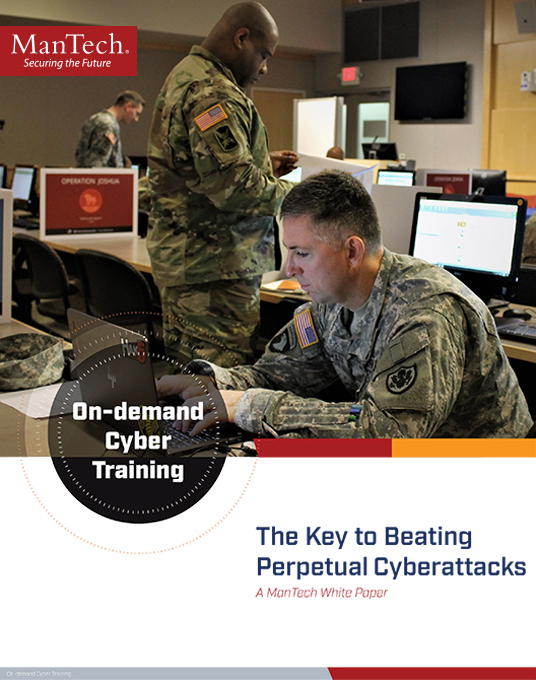 On-demand Cyber Training The Key to Beating Perpetual Cyberattacks – A ManTech White Paper. Fingerprint Scanners: How Do They Work? United States Cybersecurity Magazine and its archives. In addition, via our newsletter, you will hear from cybersecurity subject matter experts, and will be notified of the release of the next issue of the magazine!